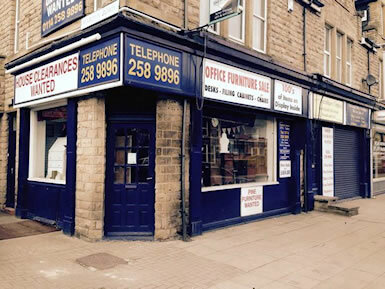 Our selection of Divan Beds, please call us on 01709 814484 to discuss your requirements or check availability. Louella The Louella divan is a comfortable divan with very comfortable price. The louella divan has a generous 10″ deep mattress with multiple layers of quality filling which makes the mattress extremely comfortable. The Louella truly excels in comfort and with superb value. The bed is finished with a high quality damask fabric which, makes the bed hard wearing and durable and is traditionally hand tufted to prolong the life of the mattress. 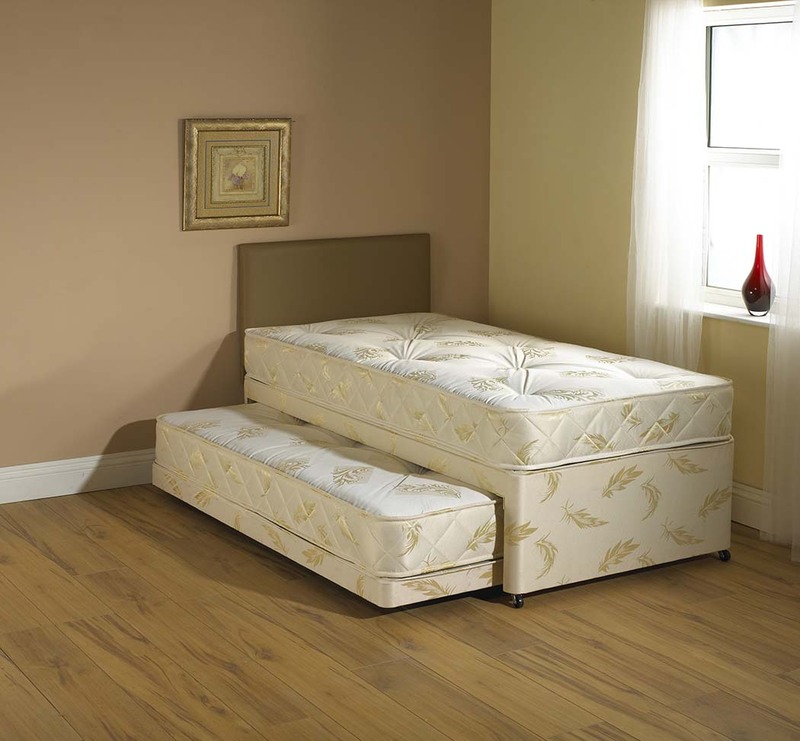 This Divan bed can be built with a number of storage options and can be made bespoke to any size required. 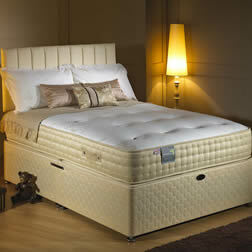 The Royal Windsor divan offers the ultimate in support without compromising comfort and style. Additional support is provided by the extra firm spring unit which helps distribute weight evenly. 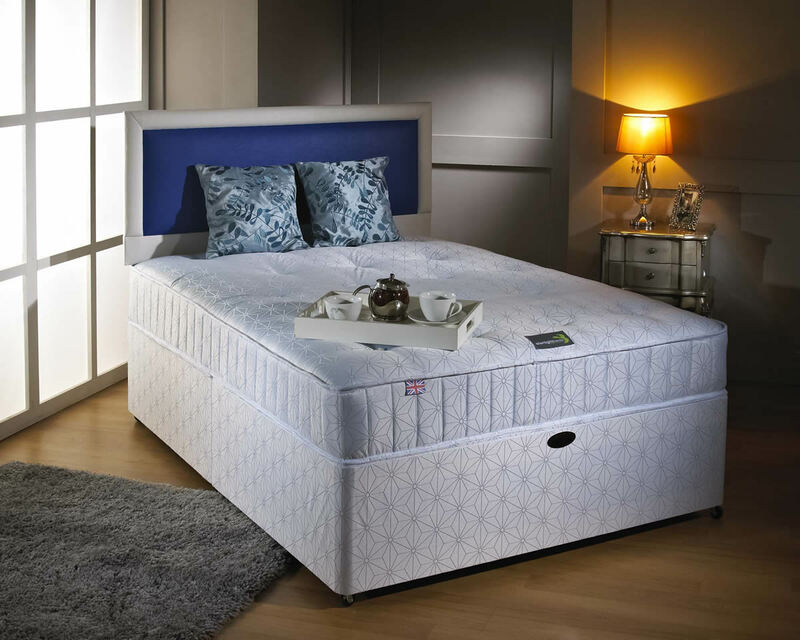 This not only makes the mattress better supported but also increases the life of the mattress which, is deep quilted and finished with a quality damask fabric which makes the bed as hard wearing and durable as possible. On this particular bed we have used black tape on this mattress and given the customer the option of Quilted or Hand tufted. The Royal Windsor is a quality orthopedic divan bed ( firm mattress ). This quilted Royal Windsor is upholstered in a quality damask fabric ensuring comfort as well as durability. 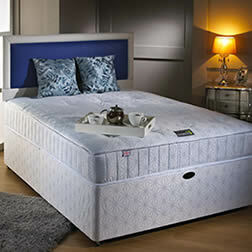 The Royal Windsor divan offers quality and style at a very attractive price. Additional support is provided by the extra firm spring unit which helps distribute weight evenly. This not only make the mattress more supported but also increases the life of the mattress. This Royal Windsor is hand tufted and finished with a quality damask fabric which means the bed is hard wearing and durable. The Monaco divan is one of our most popular memory foam mattresses. The Monaco is a medium feel semi orthopedic mattress with a generous layer of memory foam offering unrivaled support and comfort. 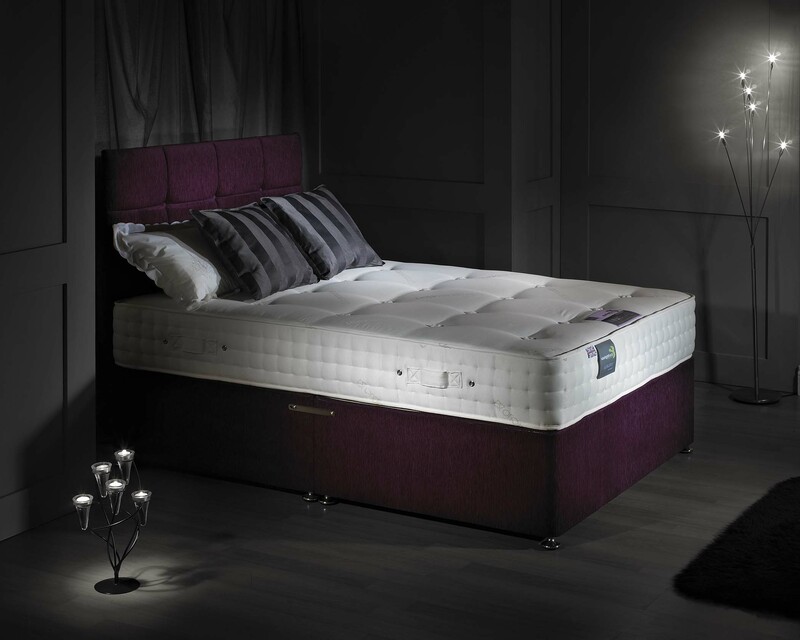 The Monaco features an open coil spring unit which gives the mattress good support through out the mattress. The mattress is generously filled with multiple layers of quality, hypo-allergenic fillings and topped with a quality knitted stress free panel. The mattress is traditionally hand tufted by our experienced craftsman. The base is finished with a quilted, knitted stretch fabric making the bed comfortable and durable. This Divan bed can be built with a number of storage options and can be made bespoke to any size required. The luxurious Elegance divan is traditionally hand tufted bed ensuring additional comfort with sumptuous layers of quality fillings to provide an exceptionally comfortable sleeping experience. The Elegance mattress has a breathable 3D border to ensure the mattress has maximum air circulation to keep the mattress fresh while maintaining the modern and stylish finish. The Elegance divan is built to last by our experienced craftsmen and will provide you with years of comfort and quality. The superb Cambridge divan offers exceptional comfort partnered with effortless style. The Cambridge Pocket Sprung Memory Foam Divan is a unique product to Goodnight Beds, developed by us after listening to our customers who wanted a totally different sleeping experience. We have used a 50mm high density memory foam sheet supported by a pocket sprung innerspring and luxurious hypo-allergenic layers of upholstery. As well as a knitted top panel impregnated with Aloe Vera which is a natural product and aids calm and natural sleep and may also benefit people with skin conditions. Non allergenic & dust mite resistant. The mattress on the Cambridge is 12″ deep. This is a very luxuriously deep mattress offering fantastic comfort. The divan base is finished with a quality deep quilted damask fabric and chrome linking bars. Our bases are glued to ensure the bed is durable, long lasting and hard wearing. 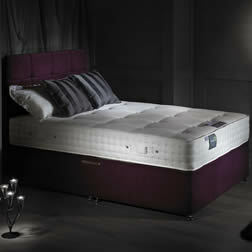 The Marriot Pocket Sprung Divan Bed provides an amazing level of comfort and complete support for your body. If you are looking for the ultimate sleeping experience then the Marriot is for you. 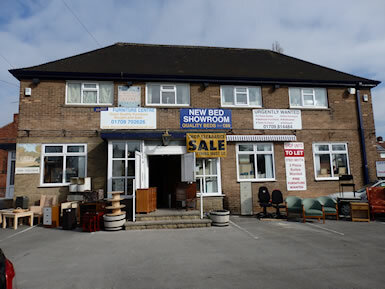 The mattress is one of the finest mattresses money can buy and is traditionally hand tufted bu our experienced craftsman to maximise comfort, emphasis full body support and prolong the life of the mattress. The Marriot is extremely comfortable and features chrome air ventilators allowing the mattress to breathe and remain fresh along with flag stitched turning handles and simulated hand stitched border. The mattress is lavishly upholstered with a quality knitted four way stretch fabric. This mattress is Hypo-allergenic, perfect for allergy sufferers. The Kensington Divan is a high end, full orthopedic divan which offers unrivaled levels of support. The weight is distributed evenly throughout the whole bed giving an amazing sleeping experience. 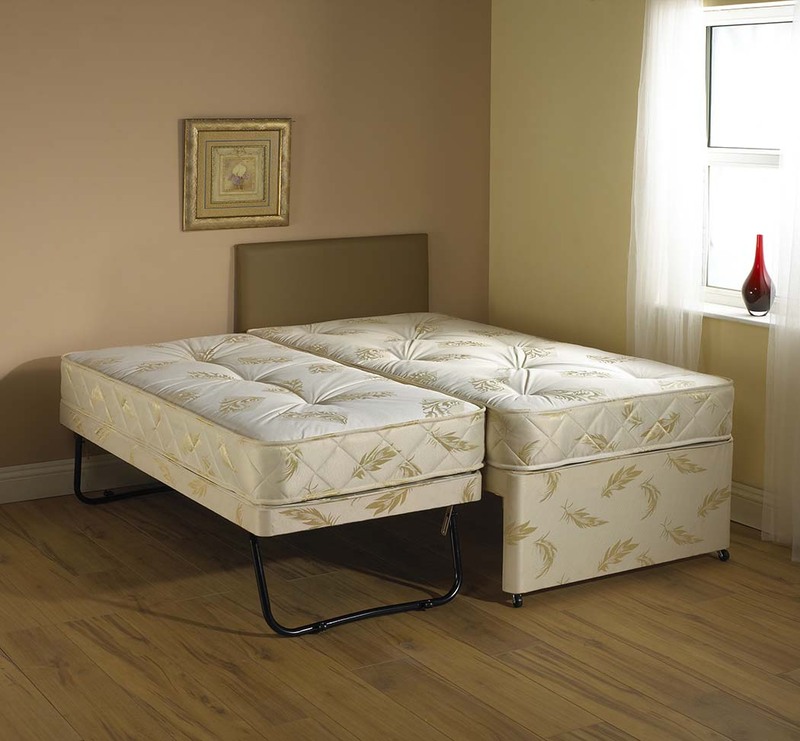 The mattress features deep hand tufting which makes the mattress even firmer and comfortable. 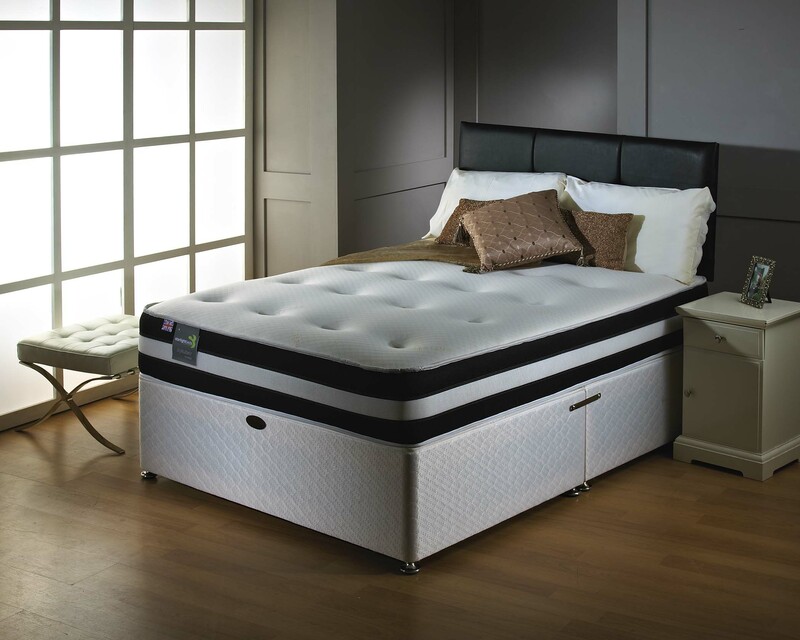 With generous layers of quality fillings Goodnight Beds is proud to announce the Kensington Divan Bed is one of the best true orthopedic mattresses on the market. Our experienced craftsmen upholster the mattress with a 100% organic cotton fabric and simulated hand stitched borders. The mattress features chrome air ventilators allowing the mattress to breathe as well as hand stitched turning handles to allow for easy turning of the mattress. The Kensington divan is designed and manufactured to provide you with years of comfort and relaxation. This mattress is Hypo-allergenic and therefore the perfect and only choice for allergy sufferers. The Divan base comes with chrome linking bars and chrome mushroom glides as standard and is upholstered in a quality chenille fabric available in five colours; Mink, Aubergine, Black, Brown and Charcoal Grey. Headboards are also available to match. The Kensington Divan Bed can be built with a number of storage options and can be made bespoke to any size required for true comfort. This is a 3 in 1 Divan Guest bed. You can have the bed as a standard single (3ft x 6ft3″) with the guest bed tucked neatly away underneath. The guest bed (2ft6″ x 5ft9″) easily rolls out on castors from under the main bed enabling you to use as two separate beds on their own. The guest bed can be used as a low bed for smaller children or can be raised on metal folding legs to comfort adults. Guest Contract Divan Bed The final combination is to raise the metal legs and push the two beds together to make a double bed suitable for couples or simply some extra space for one. 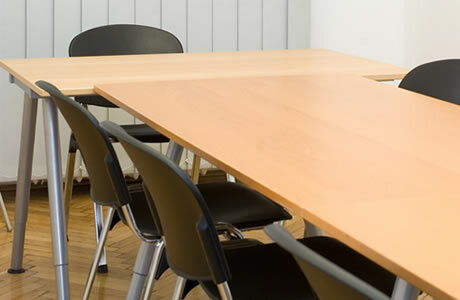 The standard height of each bed with legs raised is 25″ including castors. The top mattress is 8″ deep and the bottom one is 7″ deep still maintaining the extreme comfort and pairing it with utility. The mattress and base are covered in a quality hard wearing damask fabric which conforms to the current fire retardancy regulations domestic bs7177. 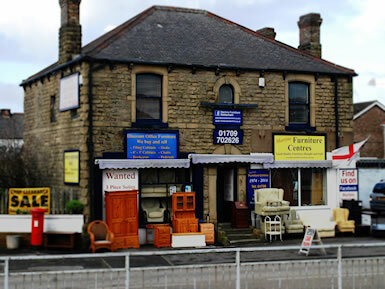 The top mattress is a medium firm hand tufted with quality fillings for comfort and long life of the mattress. 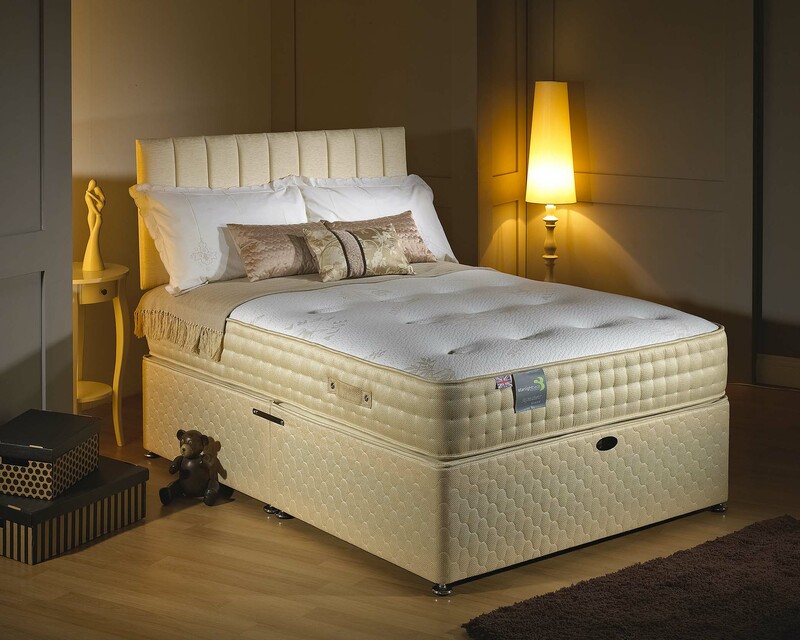 The bottom mattress slightly softer but still hand tufted by our experienced craftsmen for that luxurious comfort. Both mattresses are made to last during daily use and not just for the occasional visitors. Guest divan beds offer a space saving solution for your guests. A fully functional, quality single bed.